Pam Warren—a.k.a. Pam The Funkstress, a.k.a. Purple Pam, a.k.a. the Turntable Queen—has died, Rolling Stone reports. 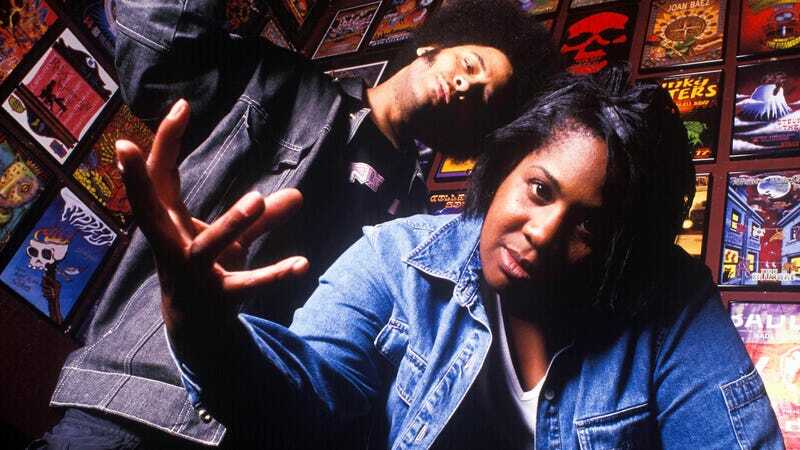 Best known for her sonic collaborations with Oakland-area rap outfit The Coup, Warren was a celebrated hip-hop artist who also served as the personal DJ for Prince in his final months. According to The San Francisco Chronicle, Warren grew up in Foster City, California, with dreams of becoming the West Coast’s first prominent female DJ. She hooked up with The Coup’s Boots Riley in the early ’90s, and ultimately scratched and blended on four of the band’s politically charged albums, including Genocide & Juice and 1998's critically beloved Steal This Album. Warren died of organ failure on Friday, at the age of 51. There’s currently a GoFundMe campaign in place to help her family cover medical costs.